UX design basics - nexxar lab. 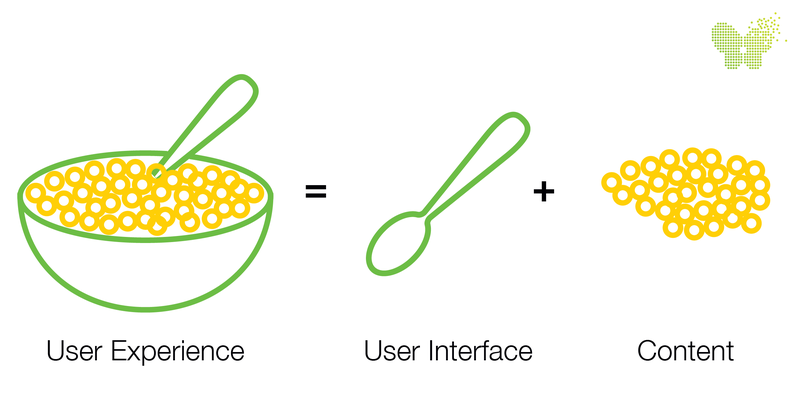 Always hear people talking about UX and want to know more about how it works? Some years ago not many people understood the importance of usability and a good experience for the user. Nowadays, the term “UX” has become mainstream. Everybody understands that those two letters are very popular and probably important, even if they are not so sure what UX really means. Are you also not sure about what UX is and what it can do for your product or service? We will break down this topic for you in a series of lab posts. Before we begin, let’s explain what UX is: short for User EXperience, UX is a broad term for any activity or profession that contributes to a better experience for the user. UX englobes many different techniques that are like frameworks, helping the process of decision-making when designing a product/service. Steve Krug explains: UX design and usability is all about people and how they understand and use things, not just about technology. Technology evolves quickly, but the human brain capacity doesn’t change much from one year to the next. This means that the insights from studying human behaviour have a very long shelf life. On the other hand, our expectations do evolve with technology! And how can we keep up with our user’s ever-growing expectations? Well, investing in UX to make your product/service intuitive and engaging is a very good way to start. UX designers will work on testing and developing your product/service – identifying problems early on and, therefore, preventing future risks. In short: UX’s focus is to guarantee that users have the best possible experience while using a product or service. This is done through collecting what we call “evidence” – opportunities to get feedback from people in your target audience – and it is a great way to reduce risks and ensure constant improvement. Although the term UX is mainly used for web, it isn’t always digital. It can (and should) be applied to a product or a service as a whole – the navigation through an airport or hospital should be just as easy as the navigation of a well-designed app. It is an approach that already needs to be considered when the fundamental concepts are being developed – ideally before the interfaces are designed. If we designed first and researched after, we would have to incorporate huge changes into our designs to meet the needs of the users that we want to speak to (our target audience). 4. UI designers design the interface. Without user research we have no evidence, this means all our work can only be based upon our own experiences and assumptions. We like to think that all users behave just like us, but that is not true. If we want to develop a good product, we need to gather feedback from our target audience, before starting with the actual development. UX research can reveal key findings to guide design choices and improve the overall experience of users. I hope that UX is now clearer to you, keep showing up to learn more about how to use UX for improve your product/service and read about some key learnings from user testing on the next lab posts. Part 1: UX design: 101. Part 2: UX design: The challenges of designing reports.